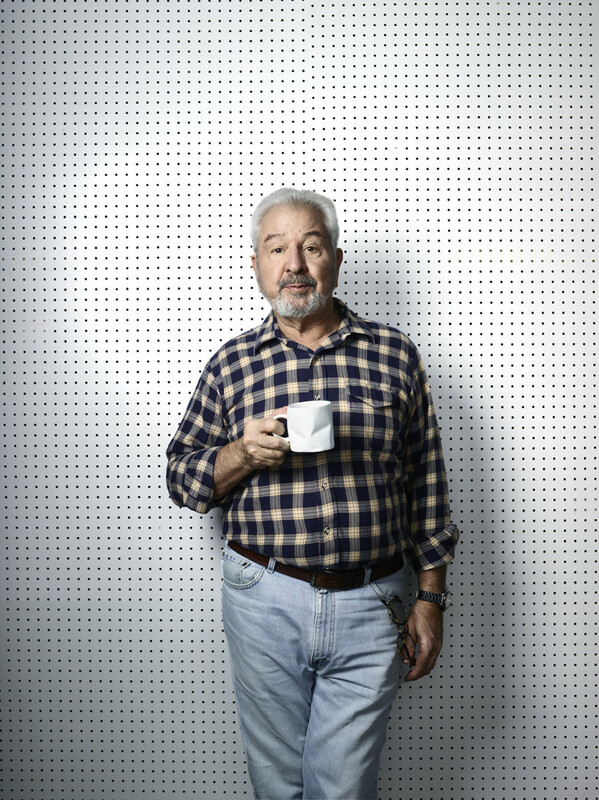 Bob Vila star of "This Old House" He was photographed by Miami based advertising and commercial photographer Jeffery Salter. Jeffrey is an award winning photographer who also does fitness and celebrity portraiture. He does location photography in Atlanta, Miami, Orlando, Tampa, NYC , Los Angeles and Dallas. Vila was hired as the host of This Old House in 1979 after receiving the "Heritage House of 1978" award by Better Homes and Gardens, for his restoration of a Victorian Italianate house in Newton, Massachusetts. On This Old House, Vila appeared with carpenter Norm Abram as they, and others, renovated houses. In 1989 he left the show following a disagreement arising from his involvement with outside commercial endorsements for New Jersey-based Rickel, and the subsequent retaliatory pulling of underwriting from Rickel's competitor Home Depot and lumber supplier Weyerhaeuser. He was replaced by Steve Thomas. After leaving This Old House, Vila became a commercial spokesman for Sears, and beginning in 1990 he hosted Bob Vila's Home Again (known from 2005 on as Bob Vila), a weekly syndicated home-improvement program. The series ran for 16 seasons in syndication before it was canceled by distributor CBS Television Distribution due to declining ratings; the series remains in reruns. Vila also appeared on various episodes of the situation comedy Home Improvement as himself, where main character and cable TV host Tim Taylor (played by Tim Allen) saw him as a rival and went to great lengths to try to beat Vila at things, which he never succeeded in doing. Vila also made a cameo in the 1993 comedy spoof Hot Shots! Part Deux. Vila has written 10 books, including a five-book series titled Bob Vila's Guide to Historic Homes of America. As of 2006, he still appears regularly on television. He can also be seen on the Home Shopping Network, selling a range of tools under his own brand.